We moved last weekend to another house. This is our third move in just over three years. You’d think at this rate I’d be awesome at it, but sadly I’m not. I’m a terrible packer and I really don’t like moving. However, over time, I have learned a few things to help make the move easier on the whole family, especially if you have kids. This one is huge! If possible, before you move, go through your house and get rid of anything you don’t use, is outgrown or just unnecessary. 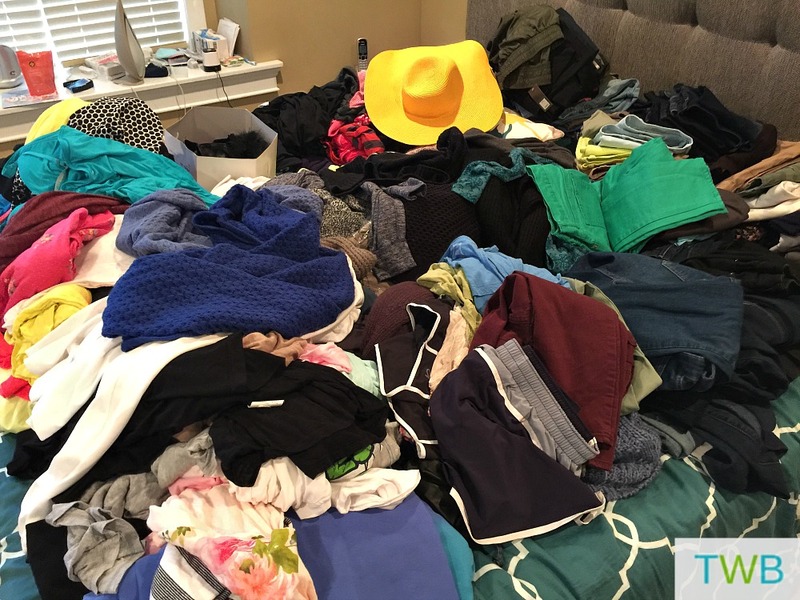 A few months before, we started doing the Life Changing Magic of Tidying Up in our place and it definitely helped with packing. If it’s not possible before hand, then while you’re packing, purge at that time. The less you have to move, the better! The week of the move, keep grocery shopping to a minimum. Just buy what you need to get by and use up what you have. The week that we were moving, I made a meal plan using things I already had in the fridge, freezer and pantry. And the last couple days can even be take-out to keep the cooking and cleaning to a minimum as you’ll need to focus on packing and don’t need the extra work. Plus it’ll be fun! If you are able to, hire a good moving company, it can make a huge difference. 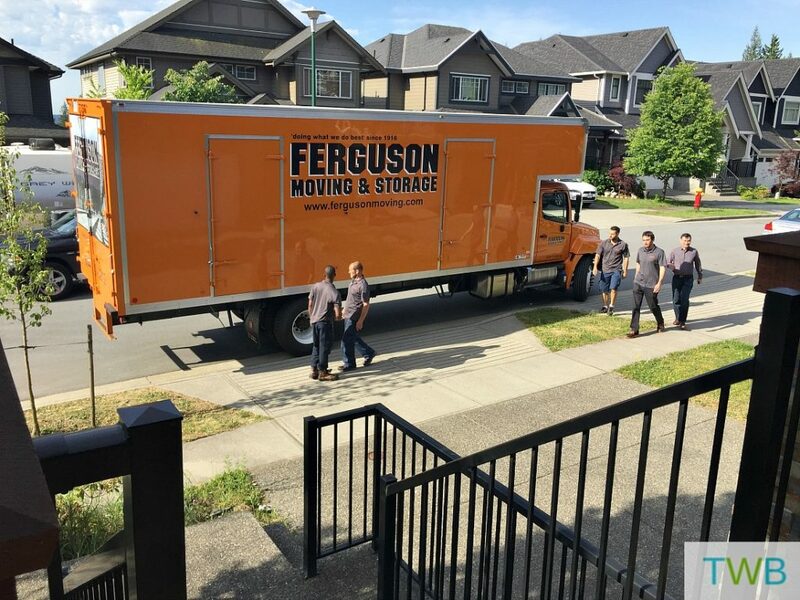 We hired Ferguson Moving & Storage and they were amazing! They came in and gave me a flat rate quote for moving, (which meant there would be no additional fees even if it took longer than they anticipated.) On moving day, the guys were friendly and super-hardworking. They did everything and more! I seriously don’t know how we would have done it without them. When you are packing boxes, make sure to label them well. So if you are packing stuff from your bathroom, don’t just write ‘master bathroom’ write down the contents. The reason for this is, if you have a few master boxes if you desperately need something after you’ve packed or after you’ve moved, it’s easily accessible. A second part to this is when you mark the box as to what room it will be in, also label the rooms in the new place so movers or friends know exactly where the boxes need to go. If you have grandparents, family or good friends around and they are available, ask them to babysit your children on the day of the move. It gets boring for the kids and it can also be dangerous so if they can be otherwise occupied, it makes moving day easier for everyone. If the kids are able to sleepover somewhere else the night before the move, it’ll be easier to get all the last minute stuff done and then you can just get going in the morning knowing that the kids are safe and taken care of. If the kids are with you, put together a little bag of fun stuff for them to enjoy and to keep them occupied. This helps on the day of the move and the day after when you are trying to unpack and get settled. A new activity book, a small lego, a little toy, a colouring book, play dough kit, the possibilities are endless. I love these fabulous play kit ideas from Mama Papa Bubba! Those are a few tips I have for making moving a little easier, especially when you have kids. Do you have any moving tips that you found really helpful? All great suggestions – we downsized (with some help!) and moved my mother in law from a large house to a small apartment some 150 miles away. No kids to worry about, but its own set of issues. I was fortunate – I never had to move while my son was young. But now, we don’t look forward to the purging we will have to do now that we are in our 60’s. Kids or no kids, moving is a challenge for sure! Purging can be tough work, but with some help, hopefully it’ll be worth it! wonderful suggestions!! 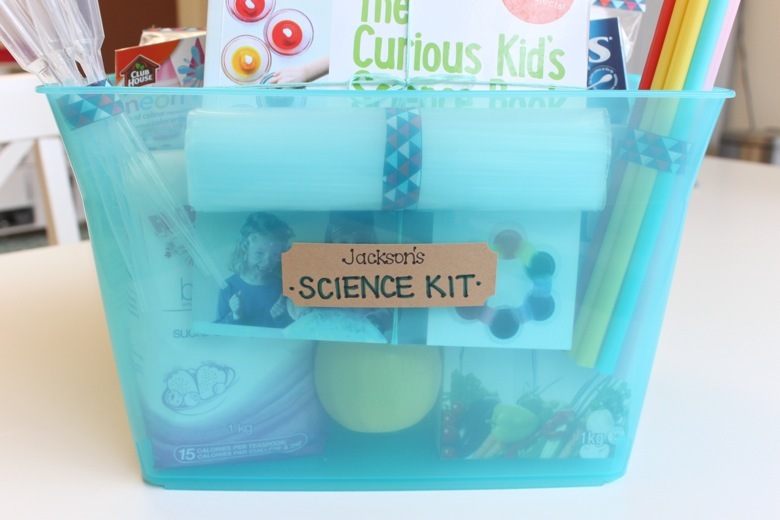 Love the idea of activities for the kids! I should do one of these myself! I have some great tips also. Thanks Sarita. And you should totally write a post about it! That overnight bag tip is brilliant, wish I thought of it for our move 🙁 PS: Can’t wait to come over and unpack!! There are very useful tips! These are some great tips. I definitely agree with hiring a good mover! That made a big difference for us Jeff! Great ideas Salma! 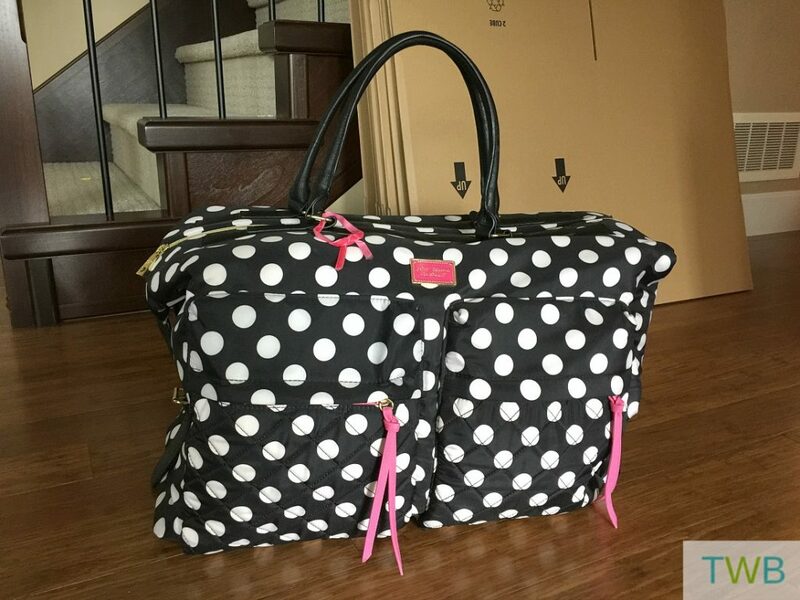 Live the overnight bag ideas and listing contents. One thing we did was use our extra sheets, pillows and towels to pack breakables instead of newspaper or bubble wrap. Two birds, one stone so to speak. I also packed things that we didn’t need starting over a month ahead of our move (off season clothing, serving dishes, vases etc). Don’t worry life will return to normal one day soon – and that old saying about “A place for everything and everything in it’s place” will come along eventually. That’s a good idea Shannon! When it comes to moving, two birds with one stone is great. Great tips Salma. Will keep them in mind next time we have to move. Thanks Shaumaila, hope they help you out with your next move. I didn’t have the energy to purge before the move but now I am looking at piles of stuff to go through and barely know where to start! Wish me luck and good luck to you with your unpacking! Thanks Renata! And good luck to you too!